Julia was designed from the beginning for high performance. Julia programs compile to efficient native code for multiple platforms via LLVM. 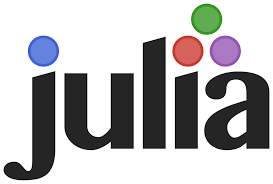 Julia is dynamically-typed, feels like a scripting language, and has good support for interactive use. Julia has a rich language of descriptive datatypes, and type declarations can be used to clarify and solidify programs. Drastically reduce the amount of boilerplate code. Avoid entire classes of errors such as null pointer exceptions. Leverage existing libraries for the JVM, Android, and the browser. Choose any Java IDE or build from the command line. Flux is the application architecture that Facebook uses for building client-side web applications. It complements React's composable view components by utilizing a unidirectional data flow. It's more of a pattern rather than a formal framework, and you can start using Flux immediately without a lot of new code. a common translation and support framework for producing implementations of dynamic languages, emphasizing a clean separation between language specification and implementation aspects. a compliant, flexible and fast implementation of the Python Language using the above framework to enable new advanced features without having to encode low level details into it.